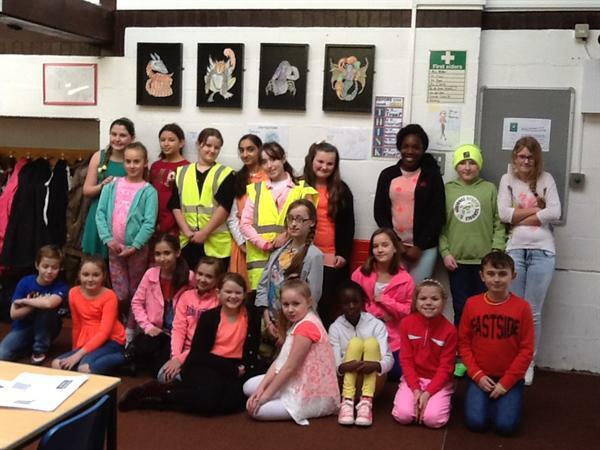 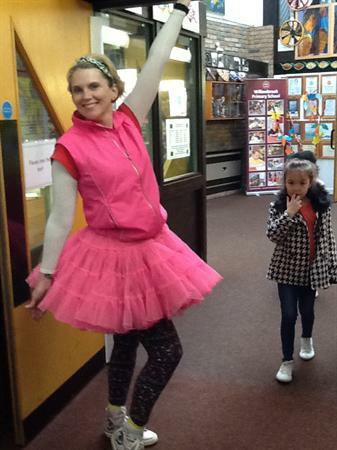 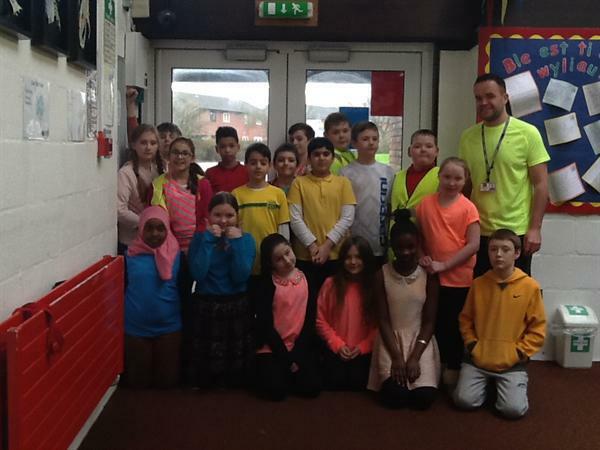 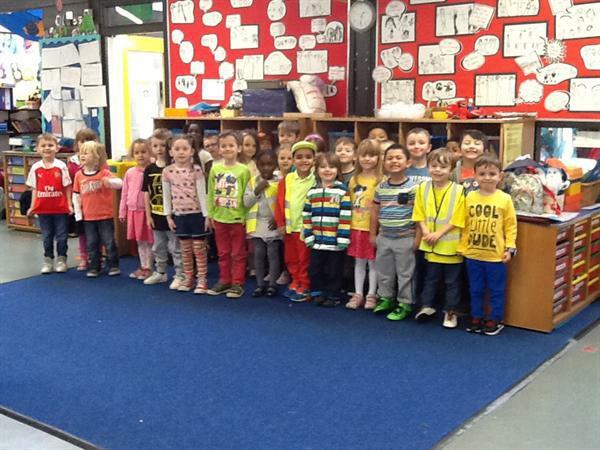 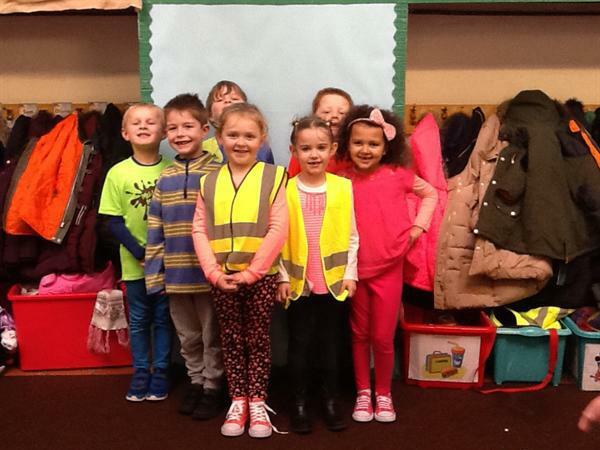 Thanks to all the children and staff for coming to school dressed in colourful, fluorescent and luminous items of clothing as part of our 'Be Bright' Day. 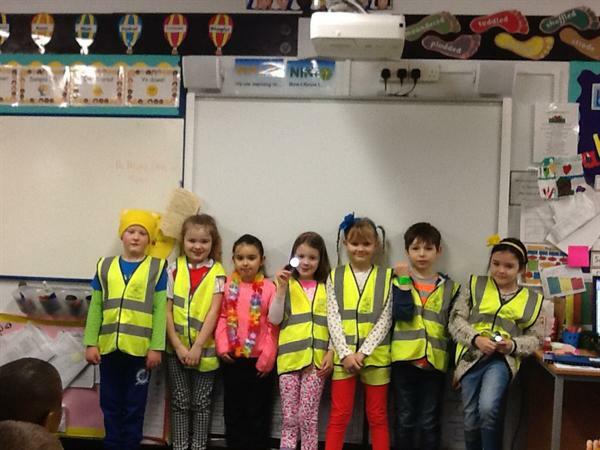 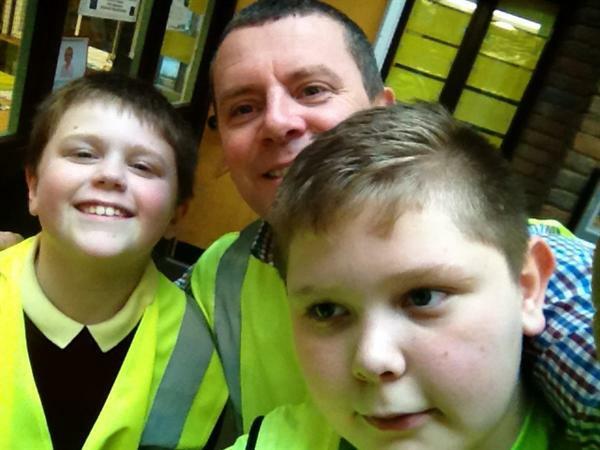 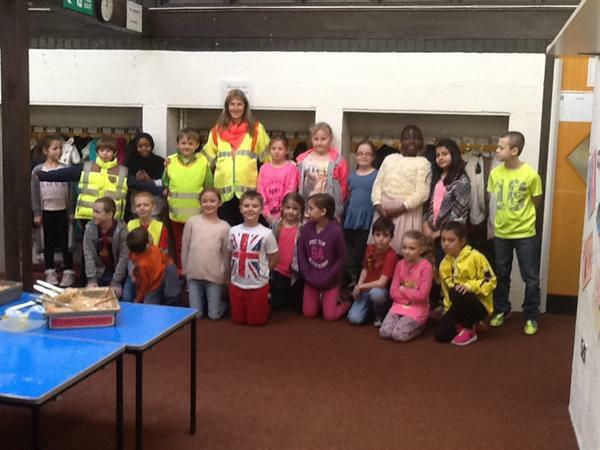 This was organised in conjunction with Sustrans to help communicate the important message of being visible and therefore safe when walking, running, cycling or scooting. 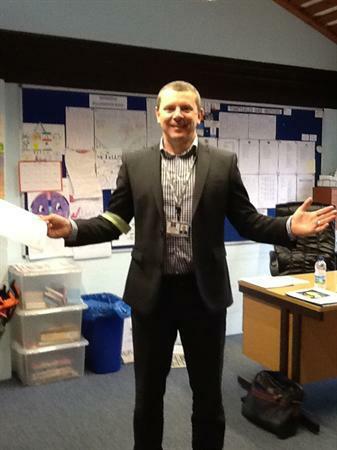 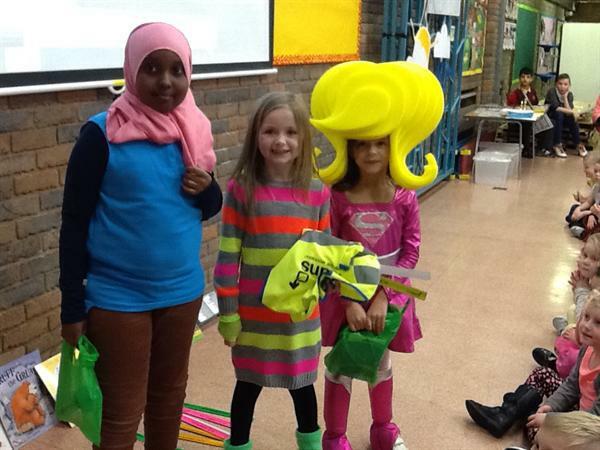 Thanks to Miss Davies for organising the event and to Sustrans for the supply of great prizes! 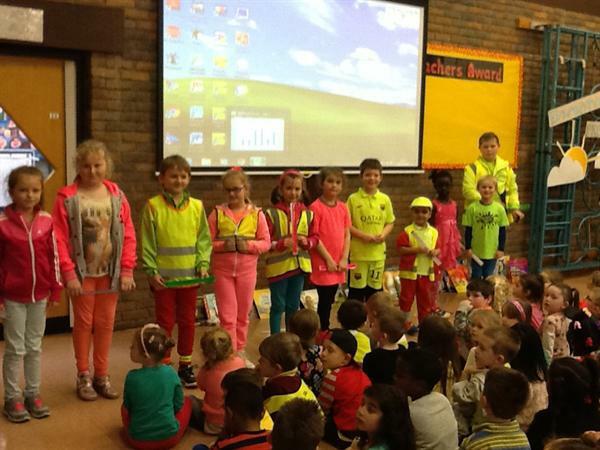 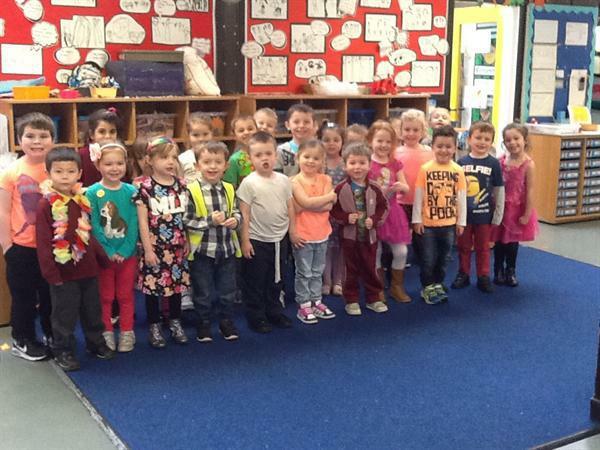 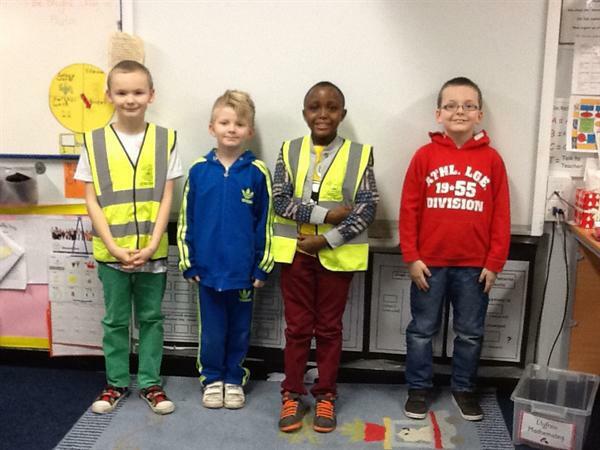 The following pupils came first in their individual classes for wearing the brightest outfits!